CHANEL Spring 2014 by Karl Lagerfeld featuring Rita Ora, Katy Perry and Cara Delevingne. Designer Karl Lagerfeld gives us an exclusive look at his Chanel Spring Summer 2014 collection – as he explains “It’s time for an optimistic moment“. Find out what inspired the fashion show and how Lagerfeld feels about Chanel being named the world’s coolest fashion brand by CoolBrands in 2013. 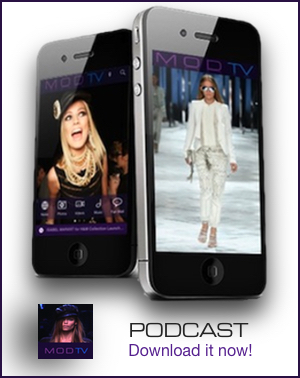 Featuring interviews with Karl Lagerfeld, Rita Ora, Zoe Kravitz, DJ Leigh Lazark of The Misshapes, Anna Dello Russo, Godfrey Deeny of Le Figaro. Runway appearances by top models Cara Delevingne, Miranda Kerr, Joan Smalls, Lindsay Wixson and Joesphine Skriver. Beauty look by hairstylist Sam McKnight, makeup by Peter Philips. Discover more and visit Chanel.Com.